It was a very stressful day of struggling and sweating under the sun to feed myself in this terrible regime of President Muhammadu Buhari, where the rich could only afford two square meal and the poor masses are left to suffer to feed and earn a living. It was 9:00pm after coming back from work, there was power blackout in Enugu. As a result, we had to stay outside to receive some fresh air. The heat was too much for us to stay indoors. While chatting and discussing with my brothers outside, we heard a vehicle approaching closely and to our surprise, we saw five (5) hefty men jumped down from two hilux vans with Ak47 riffles. Immediately, they rushed at us and said "you are under arrest". We thought it was a joke, but it was no joke as we got arrested. Getting to their station, hundreds of youths were detained and many were being tortured and maimed inside the station. I asked myself, who were these youths and why were they being tortured and incarcerated? The men gave us phone to call any of our family members that can bail us with the hefty sum of fifty thousand naira (N50,000). We asked them what offence we committed. And the question provoked them and led to beating us mercilessly. They roared, "you are cultists and should be treated like one". 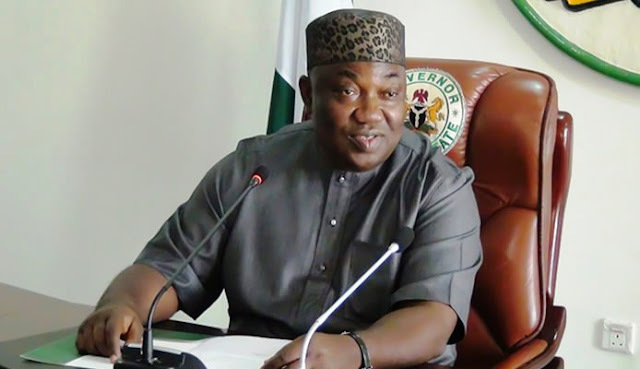 These agents called Anti-Cult Force who kill, molest and intimidate young youths in Enugu were brought in and organized by Enugu State governor, Ifeanyi Ugwuanyi . These agents are currently parading around every street, invading homes, hunting down innocent youths. Once these youths were arrested, they would be told to pay 50,000 for bail, and if they cannot afford to pay the money, they would be transferred to Enugu SARS where they could be easily killed. These secret agents have brought fears in the hearts of Enugu youths. They even beat up old women and men who go there to prove their sons innocency after unjustly arrested. Nigeria is indeed a contraption where a politician can wake up and create wicked and heartless agents to molest her own citizens. The youth wing of Enugu State is calling on the human rights organizations in the country to intervene and make strong move to stop this atrocities committed by these bloody secret agents, created by the governor of Enugu state to kill, molest and extort innocent citizens of Enugu State . Hmm...this is awful and disgusting..